Statistics, levels, quests, items, and pwnage. These are what floats around the gamer's mind. Video games have been drenched in electronic sound-tracks since their inception. So, naturally, the day has come when techno, ravers, and gamers have melded into the world of role playing. 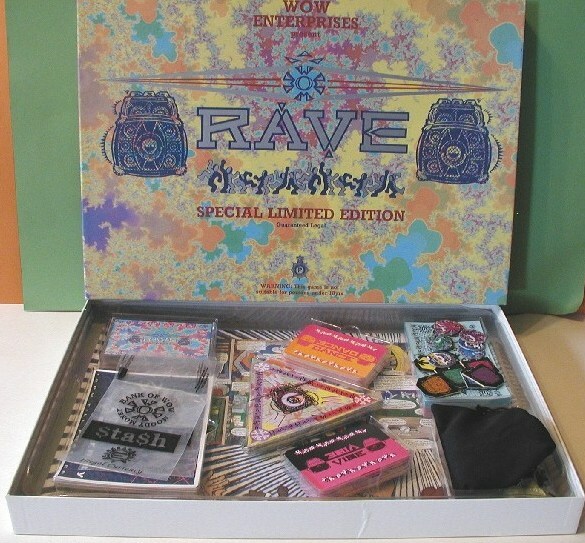 A faction of Montreal gamers have come up with a game based on the rave scene. Though the computerized video game version is still in its early stages of of development, these people are raving it up on paper. The goal of the game is to move up the rungs of the rave scene ladder, from n00b to raver, from DJ to producer, to promoter. The ravers roll the dice to perfect their dance moves, moving their statistic points around to gain agility, grace, or strength; create specialized moves, and improve their wardrobe. The DJs throw the dice to decide how tight their mix is, to see if they pick up a groupie, to see if they get booked for the next gig, as well as collect items such as dubplates, and skills such as scratching. Promoters boost their stats to find out how many people show up to their event, to see which DJ they can book, to see how much promo they can do, as well as pick up items such as strobe lights, and skills like connections for discount flyers. Producers create new profiles, push stats to make the next 'bomb track', and use items such as a firebox sound-card. All of these ranks have quests to complete as well, such as, in no particular order: find a venue, get to the party, find the gem in the record shop, repair the turntables, and learn to shuffle. Leveling up is important to get ahead in the scene. Coolness points decide how fast you can level up. There is also a rating system to see who is more or less popular, at any point in your ranking. Popular ravers have an easier time becoming DJs, but they still have to prove their skills once they get there, with more rolls of the dice. Though these gamers seem to have fun role playing, experts aren't sure what to make of this. An ex-raver, now social studies major, states: "Well, it's great that these kids are taking in an interest in rave culture, there is also the possibility that they never go out to a real rave, replacing reality with a game. Even though they seem to have a very good understanding of how the scene works, there is no way of learning actual social skills in a fictional and closed environment". Others say that there is nothing to worry about, that most gamers would do their thing no matter what subject they decide to use as a theme for their Role Playing, and that alot of ravers are already also gamers. The founders of the game are also very aware of the drug culture, and even though they rarely consume, they have recently added it into their rule book. 'Tolerance' points decide how many drugs you need to ingest, 'susceptibility' points decide how good or bad a trip you have, and both are affected by the promoters party statistics, ie. a bad party will create more bad trips, and the promoter loses reputation points, as do the bad tripping ravers, unless they are protected by a glow-stick item. However, if a promoter is good enough to have a high level DJ during their party, a simple roll of the dice can change the dynamic and create 'good vibes', for which the DJ gets bonus points, and is on his way to becoming a great producer. "Hopefully we can finish the online version soon enough, and get thousands of people to play around the world, but for now we're having fun just role playing. Heck, we're tired of Dragons and Vampires" says one of the concept's co-founders, who wishes to remain anonymous, for fear of ravers trying to get his players out into an actual rave. Leveling up on paper is much easier than is real life. Just remember kids, it doesn't matter if you're a winner or a loser, or who you PWN, what matters is how you play the game.